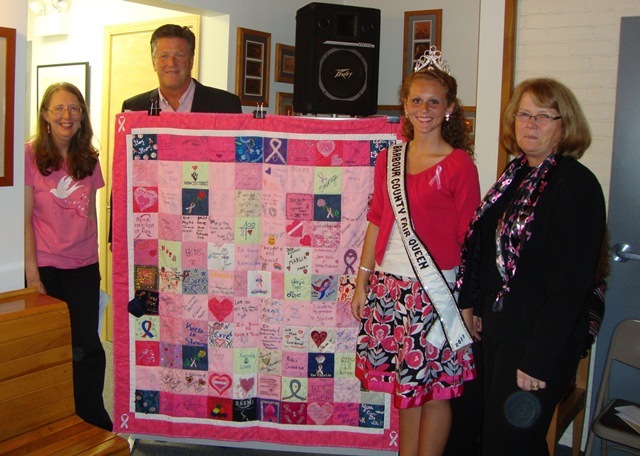 My second Breast Cancer quilt was dedicated over the weekend in West Virginia. I received information and photos yesterday after I posted my first blog entry. So, here's another entry to show where the second quilt went to. This one went to Belington, WV. It's funny, I don't remember it being that small looking. At least they were both laying flat in the photos. 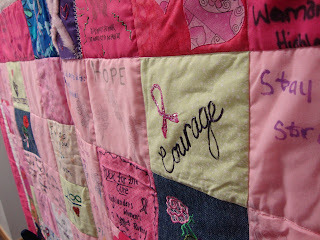 I like the second photo that shows the word courage. I always look forward to assembling these quilts each year and the inspiration they provide.